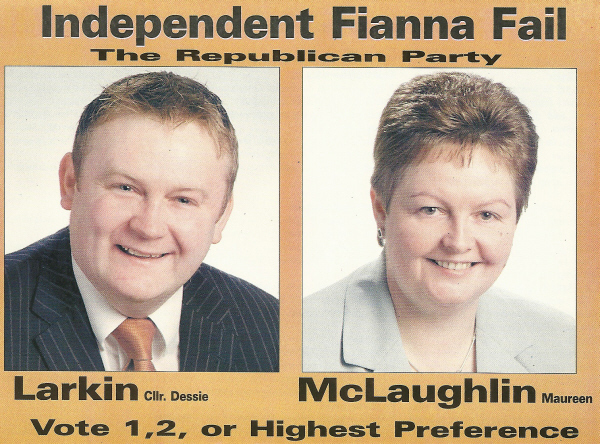 From the 2004 Local Elections a leaflet from Independent Fianna Fail candidates Dessie Larkin and Maureen McLaughlin running in Letterkenny. Larkin, now a Fianna Fail councillor, topped the poll with 1,736 votes whilst McLaughlin polled 573 votes and missed out on a seat. Of the other Non Party candidates Patrick J Blake, Charles Grant and Sean Maloney ran for The Community Party, whilst James Devenney ran for the Donegal Progressive Party which attracted a Protestant vote. 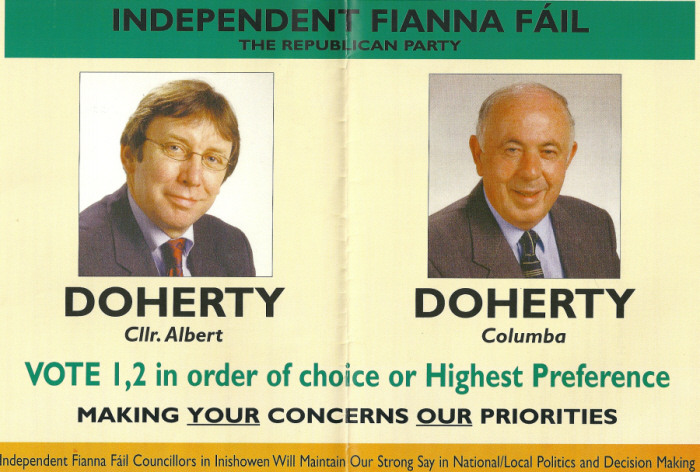 From the 2004 Local Elections in Donegal, Independent Fianna Fail candidates Albert Doherty and Columba Doherty. Neither were elected. Liam Blaney (son of Harry Blaney, Brother of Niall Blaney, nephew of Neil T Blaney etc…. 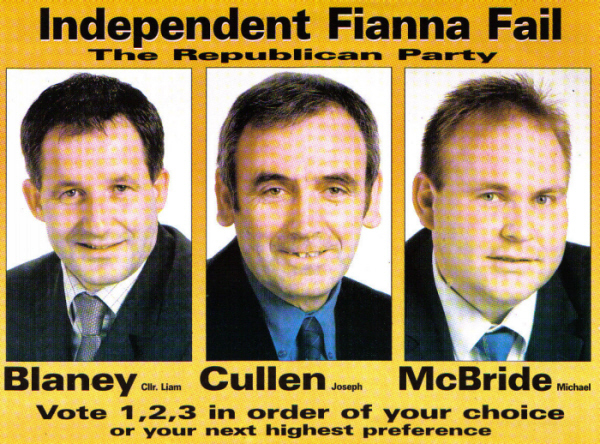 ), Joseph Cullen and Michael McBride from the 2004 Local Elections which were not brilliant by any means for Independent Fianna Fail. In Milford Liam Blaney held on to his seat but McBride and Cullen failed to get elected. Tadhg Colbert, James Larkin, Hugh Dorrian and Jim Lynch. An Interesting bunch here. Unusual to see a candidates name have two different spellings. Tadhg Colbert on the front, Tadgh Culbert on the back. 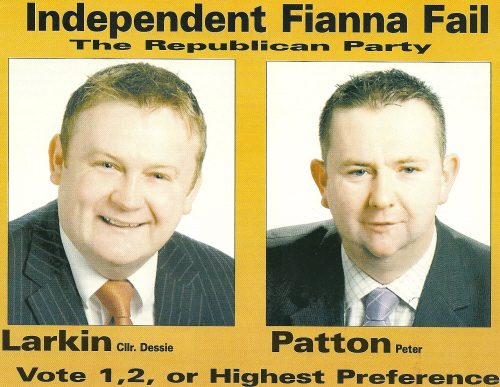 He later joined Fianna Fail and stood for them in the 1994 UDC elections. 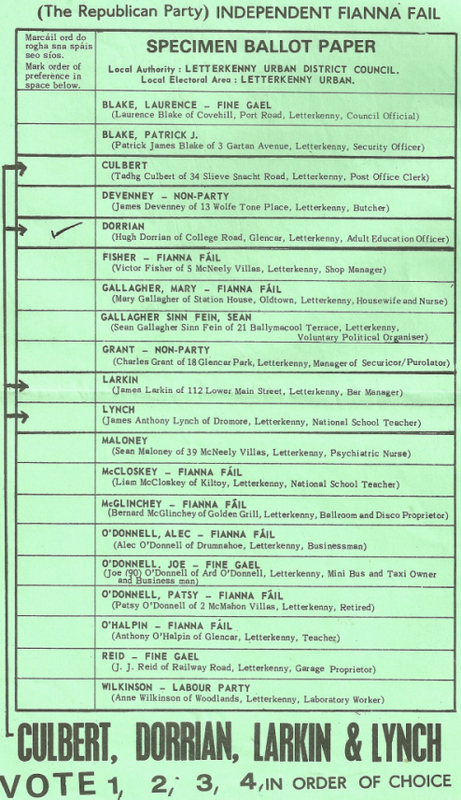 James Larkin was Neil T Blaneys director of elections. 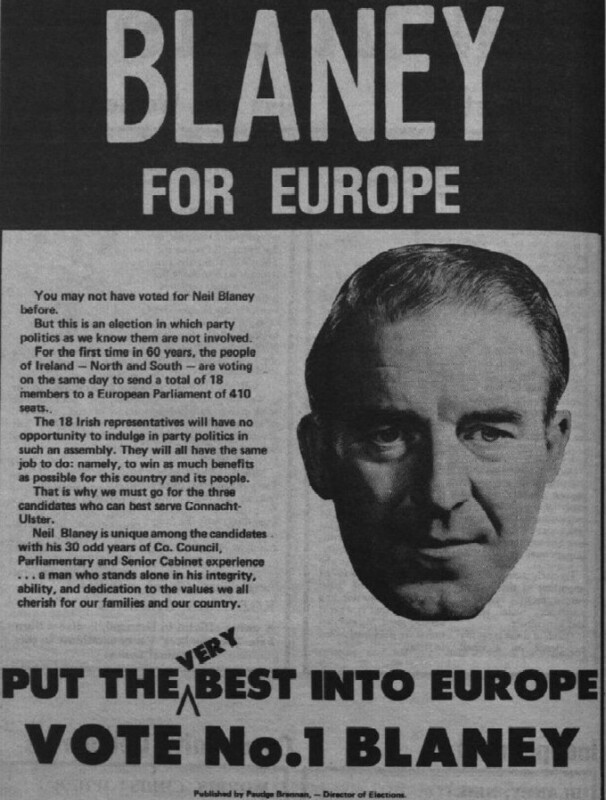 He had also been a member of the Seanad, nominated as part of the deal for Independent Fianna Fail TD Neil T Blaney to support the 1982 Haughey government. Whilst not quite the headline grabber the Gregory deal was, this was the one and only time the Independent Fianna Fail party had a seat in the Seanad.